The story took place on Sunday, January 27, 2019, off a Herzliya beach, as a chareidi man jumped into the water to save a person in distress. 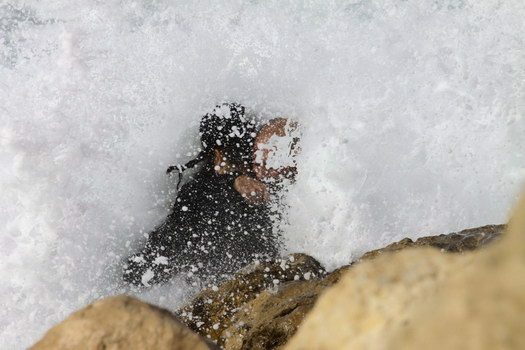 It was 10:13AM when the call came into Magen David Adom for a surfer who was injured after striking a breakwater south of the Herzliya Marina. Hatzoloh reported that a 42-year-old male was treated and listed in moderate condition at the time of transport. 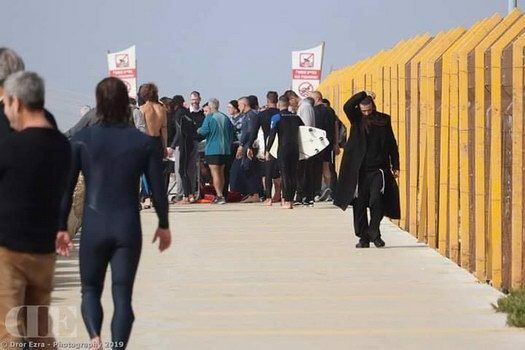 The dramatic portion of the call was the rescue, which was publicized by photographer Nissim Aton, explaining a chareidi-appearing male wearing a long suit was battling the waves deep out at sea. 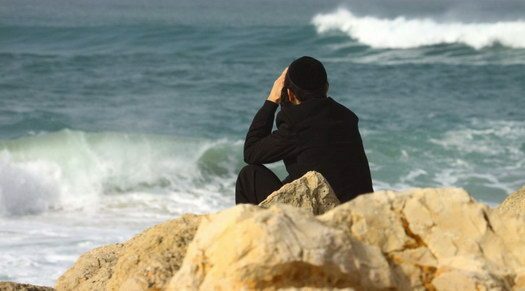 The chareidi man came to surf and after a short period of time, he realized conditions were not right for surfing, too dangerous, as he headed to shore and dried himself off and sat down and relaxed. After a few moments, while sitting and relaxing, he noticed a surfer who was drowning. Without missing a beat, the chareidi man jumped into the water to save him, and B’chasdei Hashem, he succeeded. 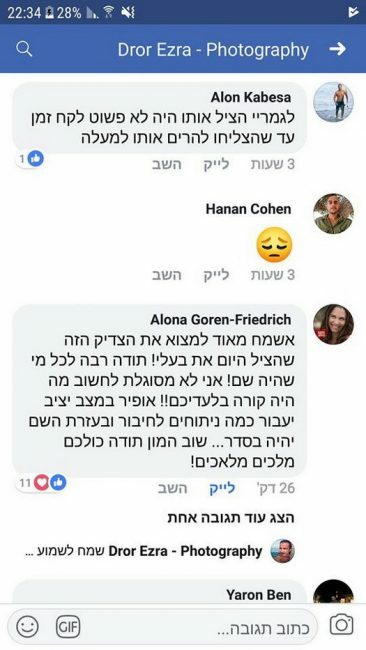 It was Aton who summoned MDA as he was trying to document the events. 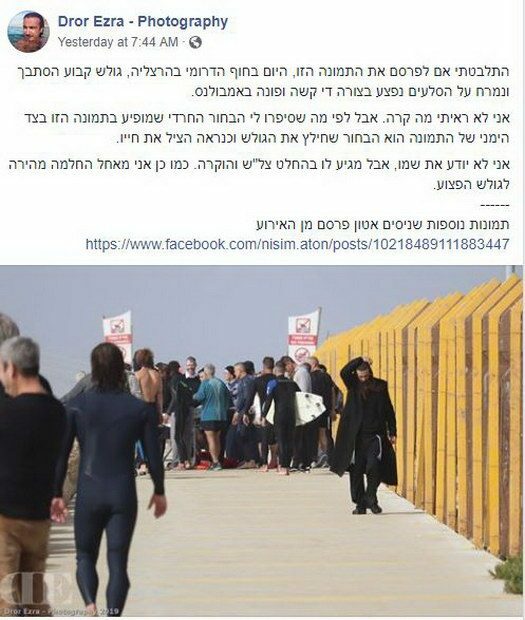 Another photographer, Dror Ezra, has more or less the same story, saying he does not know the name of the chareidi man who acted, but without a doubt, he saved the surfer’s life. 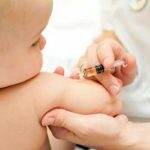 Ezra’s Facebook post earned thousands of ‘likes’ and then, the hunt began towards learning the identity of the anonymous chareidi life-safer. 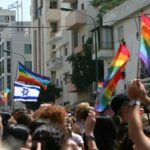 Anti-Semitism on the Rise in Israel?